The Pennsylvania Lottery debuted Xpress Football and Xpress Car Racing last week, and the two new games based on the outcomes of simulated sporting events have the state’s 13 licensed commercial casino operators up in arms. 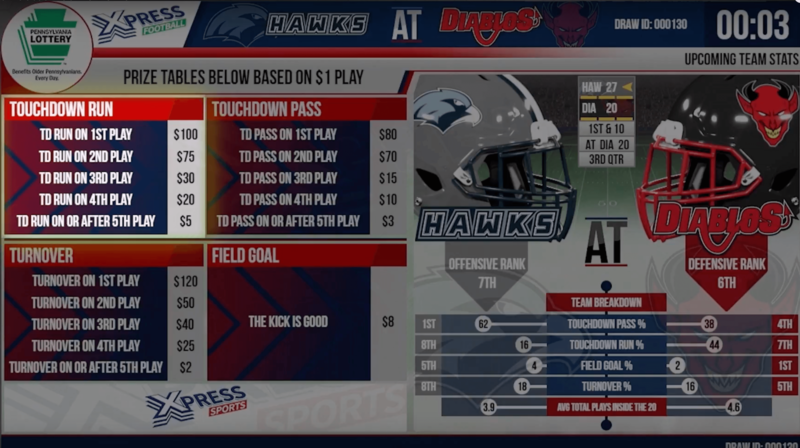 Xpress Football is a random drawing game that reveals the outcome of a simulated football drive that begins inside the 20-yard line. Players win if they correctly predict (guess) the result of the drive (touchdown run, touchdown pass, turnover, or field goal) and on the specific play. Xpress Car Racing is also a random drawing, and simulates a two-lap automobile race between 12 cars. Players must pick the car number to cross the finish line first in order to win. Prize payouts increase if the gambler additionally selects the second and third-place finishers. Players can watch the simulations on monitors in 1,500 lottery retail locations throughout the state. Drawings occur every five minutes, or 288 times a day. A $1 bet comes with a max prize of $250, but payouts vary based on the specific teams playing in the simulation and where the drive begins. Governor Tom Wolf (D) signed a massive gambling expansion package into law last fall that the Republican General Assembly authored in order to grow tax revenue for an underfunded state budget. Along with satellite casinos, online gambling, daily fantasy sports, sports betting, truck stop slot machines, and airport gaming terminals, the bill granted the lottery to operate internet games. 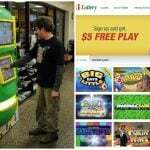 The Pennsylvania iLottery went live in May, and state casinos were quick to declare the interactive games of violating state laws. 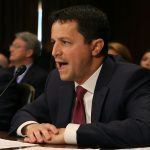 The Pennsylvania Casino Gaming Coalition – made up of the 13 licensed operators – said many of the online lottery games more closely resembled slot machines, which are reserved for the commercial casinos. “The games essentially have the same backbone as a slot machine; an outcome that is determined by a random number generator with animated graphics and computer operations used to provide a visual depiction of that outcome,” the casinos declared. The Xpress Sports lottery games can be played in many more places than just gas stations and grocery stores. 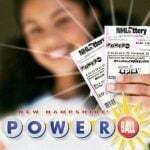 Lottery sales in the Keystone State have expanded to restaurants, bars, and nightclubs. PA Lottery Executive Director Drew Svitko is telling players across the commonwealth to encourage such establishments to become retailers for the new sports games. 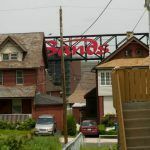 The Pennsylvania Lottery isn’t the only state lotto that’s received criticism recently for mimicking casino-style games. New Jersey politician Vince Mazzeo (D), who represents Atlantic County in the state legislature, has called for a ban on the NJ Lottery’s “Quick Draw” Keno game that runs every five minutes. Mazzeo says the fast-paced repetitive nature of the game stimulates slot machines.